In large nonstick skillet, combine rice, contents of seasoning packet and water; mix well. Bring to a boil over medium-high heat. Reduce heat to medium; cover and cook 5 minutes. 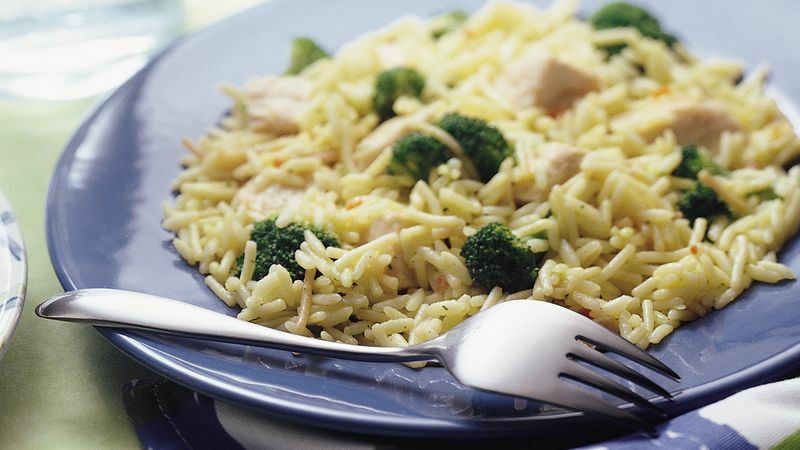 Add chicken and broccoli; mix well. Cover; cook 5 to 8 minutes or until broccoli is tender, water is absorbed and mixture is thoroughly heated.